Last year I was lucky enough to be asked to judge a fabric design competition, The Printed Bolt: Repeat. The competition is structured like Project Runway where the designers are given a challenge and a time limit to complete their work. One designer is eliminated after each judging period. It was really fun to be part of, and especially fun to watch the designers grow and continue on their journey throughout the competition. 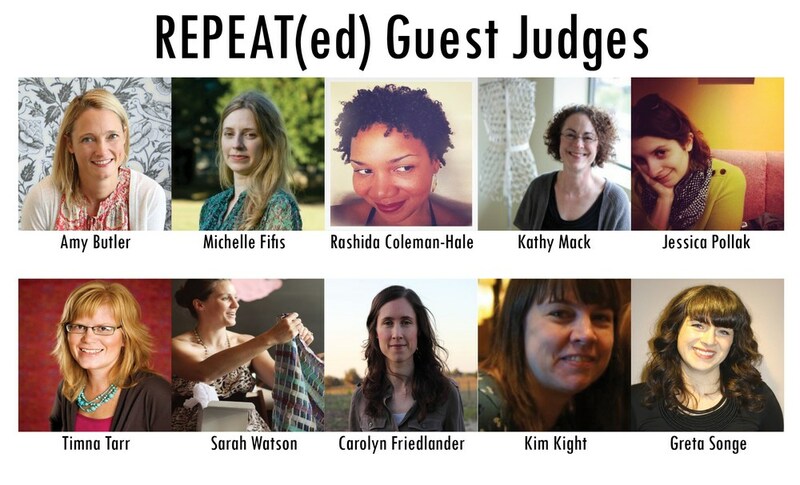 Today I can announce that I am going to be a guest judge for year two of the competition, cleverly titled Repeat(ed). The winner of last year's competition, Michele Rosenboom, is going to be the consistent judge throughout. Her work is beautiful, and I am sure with her experience she will be able to guide and encourage the contestants in a way the rest of us cannot. I am also very excited about the list of other judges, some of my favorite fabric designers are on the list....Amy Butler anyone?